Episode 277: ControlTalk NOW — Smart Buildings Videocast and PodCast for week ending August 5, 2018, continues its inquiry into the humanization of buildings — talking a deep-dive around Ken Sinclair’s August editorial theme, the “Building Whisperer.” Honeywell announces Momentum 2018 — You’ve Got Connections! 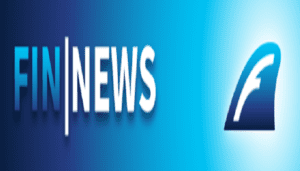 ; 2018 Energy Exchange and Buildings Summit in Cleveland, OH; Facilo’s Rajavel Subramanian and Awair’s Ronald Ro new product video interviews from the Realcomm20 Launch Pad; and don’t miss J2 Innovations’ most recent edition of FIN News. 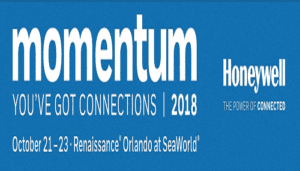 Honeywell Momentum 2018 | YOU’VE GOT CONNECTIONS * October 21-23 * Renaissance Orlando at Seaworld. More Insights. More Innovations. Claim your place at Momentum 2018, the conference dedicated to building innovations. Join product experts, distributors, integrators, contractors and exhibitors for three days of business-building insights and a chance to interact with the latest products and solutions. There’s also plenty of time for great food, drinks, networking and a round of golf in beautiful Orlando. 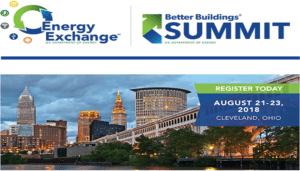 2018 Energy Exchange and Better Buildings Summit! Cleveland, OH * August 21-23. Only 3 weeks left until the 2018 Energy Exchange and Better Buildings Summit! Still need to register? Sign up today! With over 200 education sessions and workshops, a trade show, and access to experts from all over the industry, the 2018 Summit is more packed than ever with advanced looks at the energy efficiency processes, technologies, and strategies that are changing the marketplace. Check out the full agenda here and we will see you in Cleveland! Smart Building Control is a Global Game: New Products from Facilio. Over the last several years, Ken and I have noticed and reported, the influx of new smart building control players from Silicon Valley. 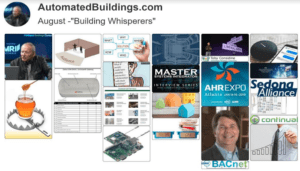 This year, at RealComm|IBcon, we were amazed at how many smart building providers from around the world showed up with noteworthy smart building solutions. One such example is Facilio. We had the pleasure of interviewing Facilio’s Rajavel Subramanian at RealComm|IBcon’s New Product Launch Pad. 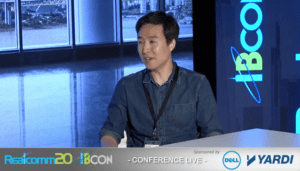 Meet Ronald Ro – He will change the way you look at Sensors: Get Awair! We met Ronald Ro at the Realcomm|IBcon launch pad. And we are very glad we did! As you can see in the video, Ronald and his team at Awair, have re-imagined air sensors and created a sensor that tracks invisible fine dust and chemicals in air and gives a personalized recommendation to help occupants stay safe and healthy. Think this will play in the $300 part of the 3-30-300 metric? 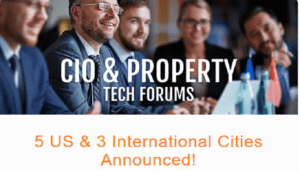 Realcomm CIO & Property Tech Forums Announced: Sydney, London, Toronto, NYC & More! Realcomm Conference Group, a company focused on exploration, education and collaboration at the intersection of technology, innovation and commercial and corporate real estate, is pleased to announce the 2018 Fall schedule for the CIO & Property Tech Forums. The Realcomm CIO Forum series is open to CIOs and other senior IT professionals. J2 Innovations FIN News – July, 2018 Highlights. Build Dashboards Quickly in FIN Stack. The FIN Stack development team has been working on a solution to creating dashboards in FIN and is excited to announce a solution! The team has pre-designed and put together a variety of easy-to-use charts and gauges, each with their own configuration wizards.